At Superior Hydraulics & Fabrication, Inc., our goal is to provide you quality services you can rely on at affordable prices. From the time you call us until the job is done, we will make you our top priority. Throughout our more than 30 years in hydraulics, we have gained a reputation for excellent quality at competitive pricing. We want to keep you coming back to us for service for years to come. 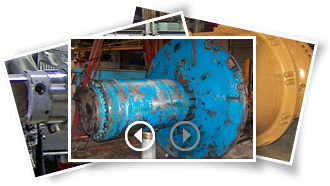 At Superior Hydraulics & Fabrication, Inc., we provide all Hydraulic Repairs, General Machine Work, Tig and Mig Welding, Tube Bending up to Two Inch, Steel Line Manufacturing and Much More. Our Seal and O-Ring Inventory is the Largest in The area and includes many complete seal kits. Hoses made while you wait. Our staff is skilled, knowledgeable and efficient. Copyright © 2019.SUPERIOR HYDRAULICS & FABRICATION INC. All Rights Reserved.